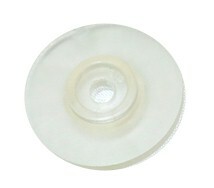 2 GPH Clear Flow Disc regulates the flow (not the pressure) of water into the soaker hose. Use for Hose Lengths: 200' - 400' Aprox. 2 GPH . (Bag of 2/Clear).